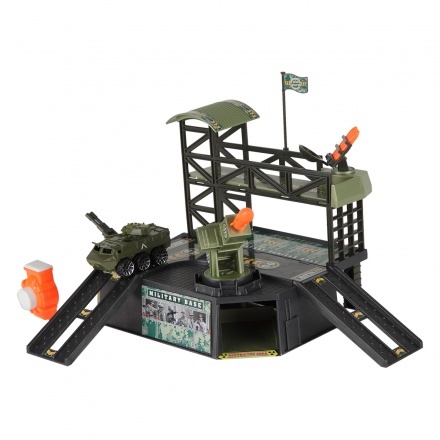 Get the action on with this play set. 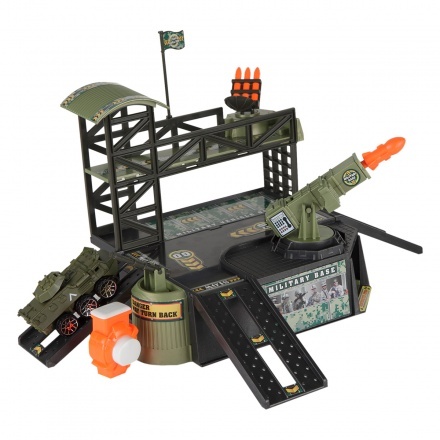 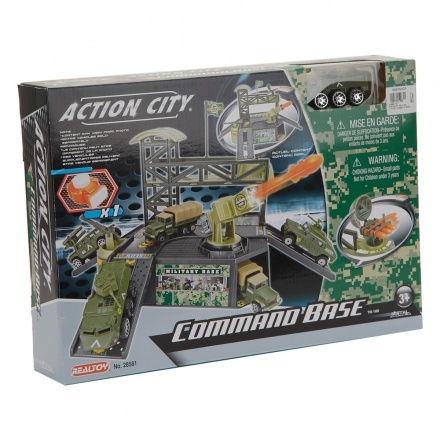 The tracked military base sports ramps and missile launcher for an exhilarating game experience. 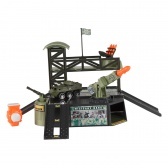 The additional car elevates its vitality.